Spring is the season of renovation and renewal. Warmer temperatures allow homeowners to remain outside for longer, without getting stuck in snow or suffocating in over-sized winter coats. Windows are being opened for the first time in months. All of these factors will make your clients more open to the possibility of serious remodeling work. Given that there are few rooms in the house that take abuse in the way that kitchens do (food, water, high foot traffic), many clients will likely want to do some work. 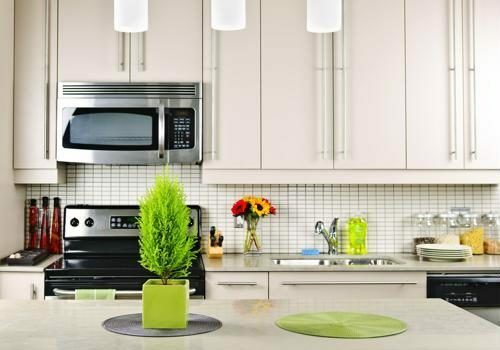 Data from a recent Freedonia report indicated that kitchen countertop demand is growing, with the global market expected to increase by over 2 percent a year until 2021. With demand on the rise and kitchen design trends shifting, your clients may have decided it is time for a countertop overhaul. In conversations, it is important to remain honest yet optimistic with your clients to preserve trust and build the relationship. With this in mind, Amerhart has highlighted a variety of popular countertop materials, stressing both their strengths and weaknesses. No substance is perfect for every client - we're committed to helping you find the right fit. No two granite countertops are alike. According to countertop guides, granite comes from all over the world. Found in igneous stone deposits, it's made of multiple minerals, which helps give the material its unique look. Given that granite was forged in part by magma and lava flows, granite is naturally resistant to heat damage. If you have clients who like to heat up multiple pans and are constantly looking for places to set them down, then granite is the way to go. It's strong, durable, environmentally friendly, and visually pleasing. The material is also very stain resistant when properly sealed. However, the material is also pricier than some other countertop components. 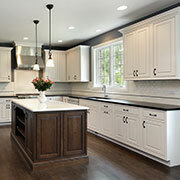 Improper installation can also create problems, such as bacteria growth and staining, according to countertop guides. Lastly, for its diverse makeup, granite comes in roughly 20 different color shades. It is not the most customizable surface on the market. Granite and natural stone countertops, in general, set the kitchen apart with a unique look. Quartz is one of the most common minerals found on the planet. 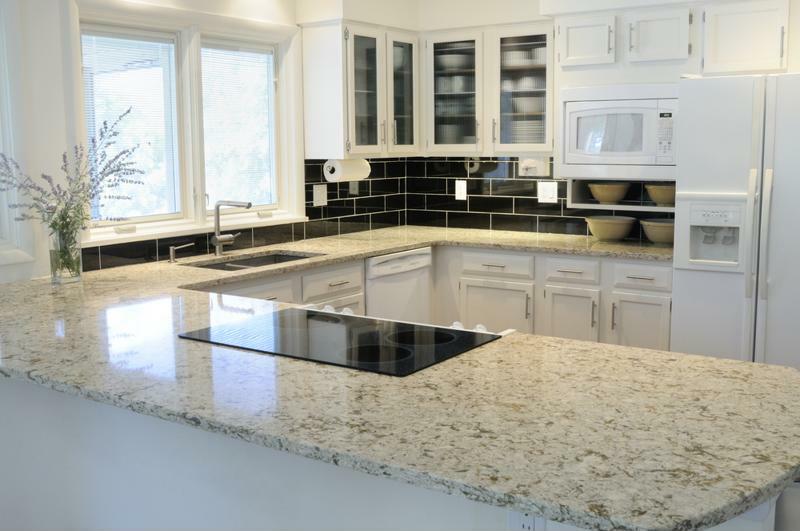 While it resembles natural countertop appearances like granite, marble, and other stone - quartz is generally less maintenance intensive, according to Consumer Reports. This makes it perfect for older clients who don't want to deal with the hassle of proper sealing. Quartz - or engineered stone made from over 90 percent quartz - is spill-resistant, copes well with heat, and won't scratch. It can, however, be higher priced and non-rounded designs especially can be chipped. In that case, professional repairs will be needed. Marble is beautiful, no question. In terms of elegance, marble countertops are the way to go. For clients without budget constraints, this material will highlight their kitchen, drawing admiration from family and friends who visit the house. "Marble can be chipped, scratched, gouged, and stained." However, this substance can be time-consuming. Apart from the high price tag, marble can be chipped, scratched, gouged, and stainedrelatively easily, according to Stonebridge Contracting. This means that the chance of repair work is higher. Again, it is perfect for clients who can afford it, but not those who are more budget-conscious. Given the chance of damage, you may want to advise your cooking enthusiast clients against this purchase as well. Laminate has come a long way. 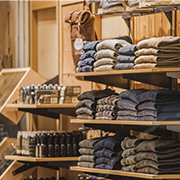 According to Consumer Reports, the inexpensive material now looks classier, thanks to innovations in printing technology. The material is not as heat resistant as stone, according to GreatPros, since laminate is, at its heart, plastic. The material is easy to clean but can be damaged by sharp objects. Remember to instruct clients on the importance of cutting boards and proper maintenance if using laminate. Another affordable option for clients on a budget is ceramic tile. The Spruce highlighted the material as easy to clean and fairly durable. 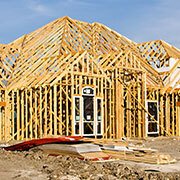 Installation costs may also be lower as the material can be implemented in sections. 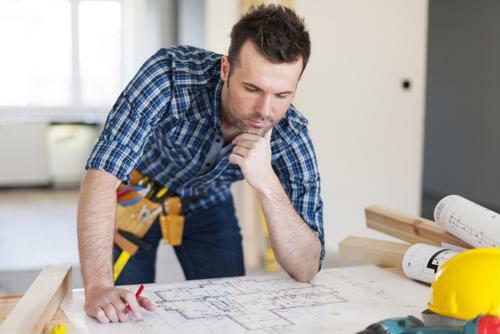 For those clients with major budget constraints, you can even bring up the DIY possibility, although ideally every countertop is installed by a professional. However, ceramic tiles unique look can be a drawback. The surface is uneven, full of crevices that can become stained if not properly cleaned. The material can also be chipped or damaged. 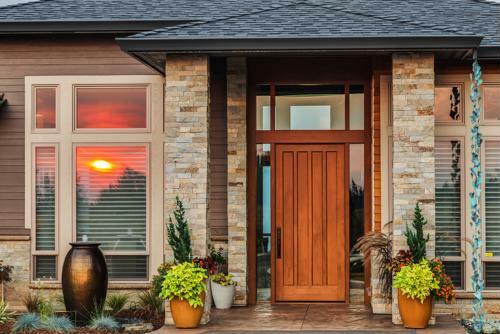 No one material is perfect for all clients and, as a home builder, part of your skill set involves matches products with their ideal homeowner. 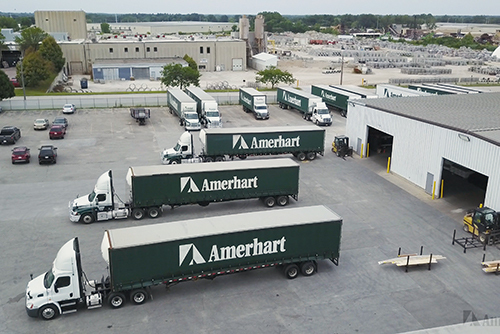 Amerhart always recommends taking the more eco-friendly route to ensure sustainable building practices.